This is a concert recording made in Birmingham, UK, in 1999. First release of the recording. Popularly known as “Debu” , Devabrata Dhaudhuri is one of India’s most respected and outstanding musician of the day. he received his early training from Sh. 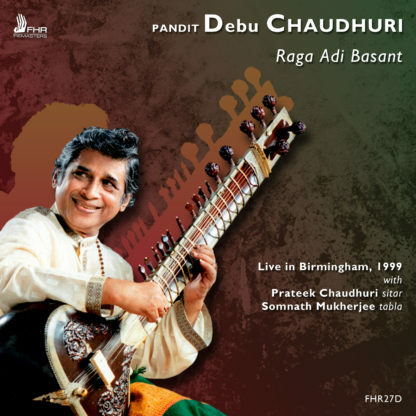 Panchu Gopal Dutta and later on from the traditional exponent of sitar legend Ustad Mushtaq Ali Khan of the Senia Gharana, a traditional school of Indian music. 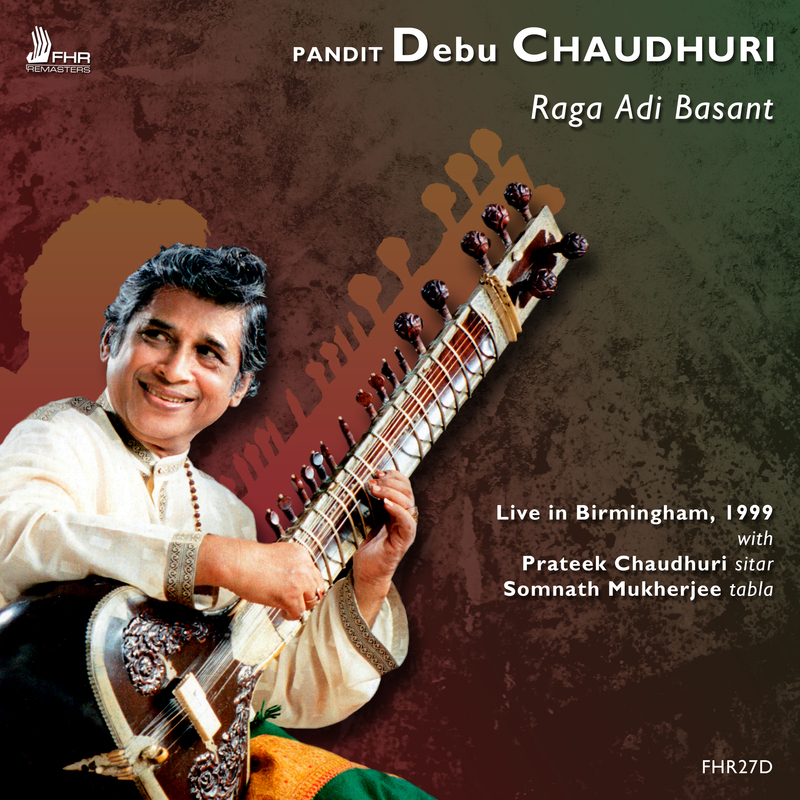 Pandit Debu Chaudhuri is the recipient of many prestigious awards including the civilian govt. award of Padma Bhushan and the national Sangeed Natak Academy Award for his excellence and contribution in the field of music. He has been recently awarded the Hon. D. Litt. degree from the only music university of Asia, Indira Kala Sangeet Viswavidyalaya Khairagarh , for his achievement and contribution in the field of music in India and abroad both as a performer and as a scholar. He received his early training from the late Panchu Gopal Datta for some time and later for 38 years from the senior most traditional exponent of sitar maestro Sangeet Acharya Ustad Mushtaq Ali Khan of the Senia Gharana, the traditional school of Indian classical music named after the great Mian Tansen, the father of Indian music.